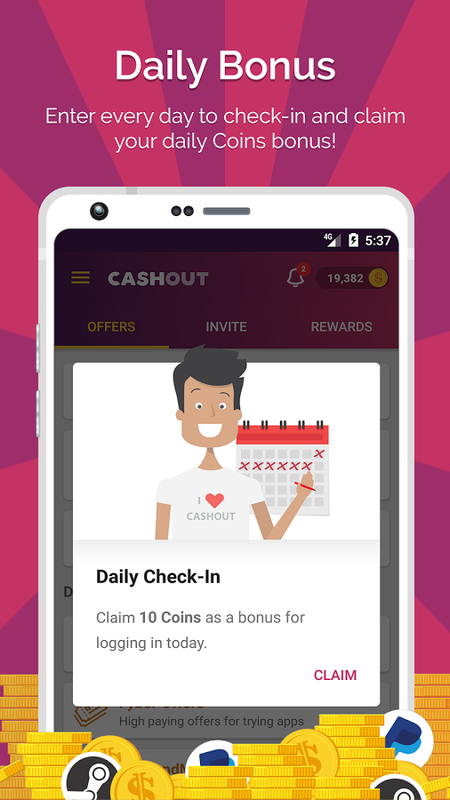 CashOut is the newest and hottest money-making app on the Play Store. 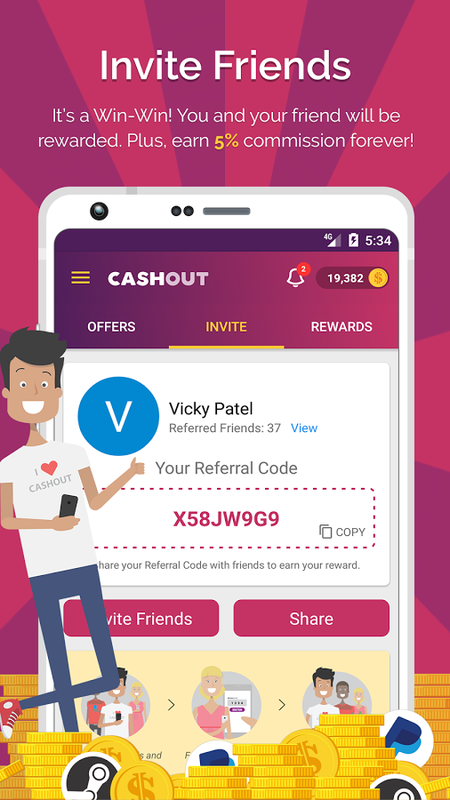 With CashOut you can earn free cash and gift cards by completing offers with only a few taps. Offers consist of simple tasks such as installing free apps, playing games, completing surveys, and watching videos. For every offer you complete, you will be awarded a certain amount of in-app Coins. These Coins can be redeemed for PayPal Cash and other real-life Gift Cards. 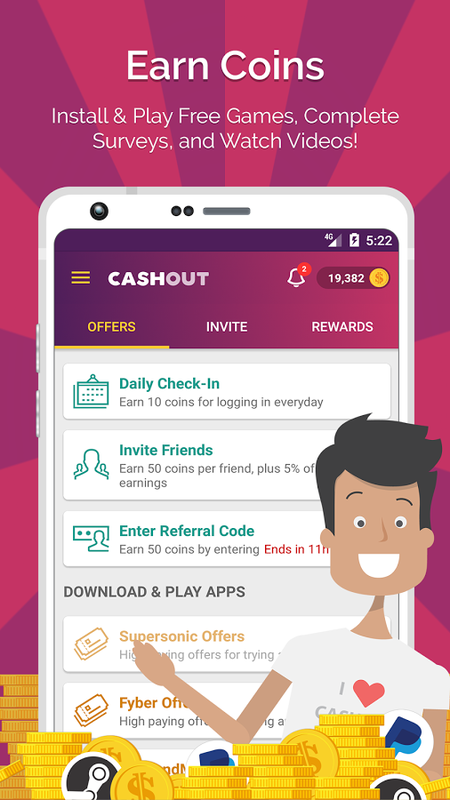 You can also earn a lot of Coins by inviting friends and family to use the CashOut. When you refer a friend you and your friend will each be rewarded. In addition to that, you will be awarded 5% commission on every offer your friend completes. 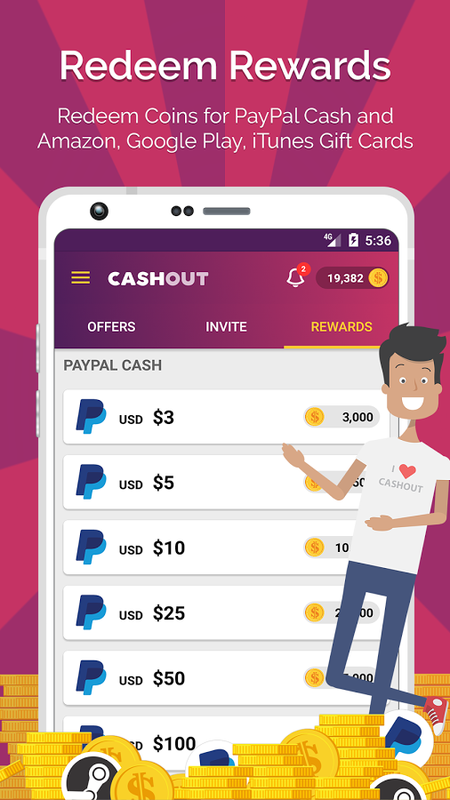 – PayPal Cash: Redeem your Coins to real-life cash. – Simply share your *Referral Code* with your friend from the Invite page. 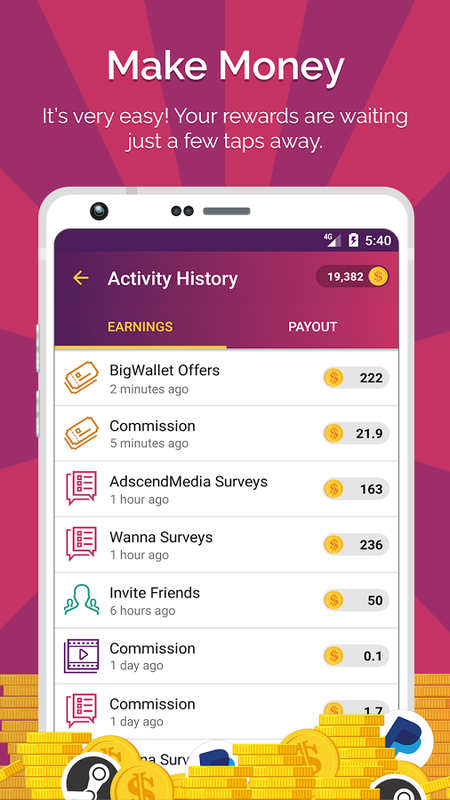 Referral Program: Invite your friends and you will be awarded 100 Coins, plus 5% commission on lifetime earnings. Your friend will receive 50 Coins. 4 Offer and Survey providers: Fyber, Supersonic, AdScendMedia, and more coming soon!